We’re thrilled to announce our fourth executive year of this ground-breaking GLOBAL EVENT Native Film Market Indigenous Eyes Filmmaker Showcase! 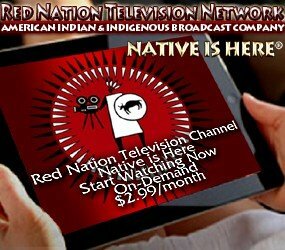 Red Nation Television Network is the distribution arm of the Red Nation Film Festival. A one-of-a-kind event with Festival Filmmakers, distribution companies, production companies, and esteemed members of the entertainment industry. Emerging and established Native filmmakers have the opportunity to ‘pitch’ their short film to industry insiders and distribution companies. In addition a high profile panel “Distribution Matters” made up of industry insiders and distribution companies. Native Film Market is a showcase for new work by American Indian & Indigenous international independent filmmakers, bringing together decision makers and content creators with the goal of ensuring media representation of American Indian & Indigenous content to the world at large. 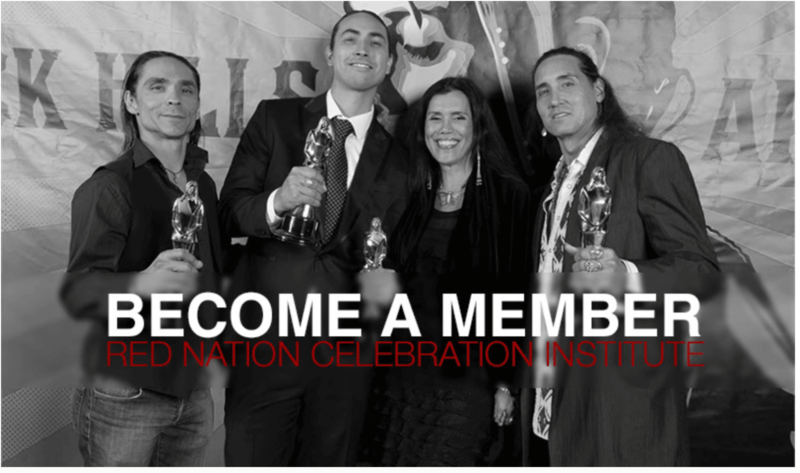 The Festival features the only film competition in the world that offers guaranteed distribution of American Indian & Indigenous Award winning independent films, as well as films that screen at the festival to include a broadcast television release in partnership with Red Nation Television Network™, a global provider of streaming movies and TV series and soon to be announced Festival’s native films televised on a Cable server provider. Get a chance to meet and greet with native filmmakers and actors + Network with Distribution Companies + Studio Executives + Production Companies + Celebrities! NATIVE FILM MARKET created for American Indian & Indigenous filmmakers to introduce their films to distribution companies from around the world. All films selected for 23rd Red Nation International Film Festival will be invited to participate in this Global Event. Films that are not selected to screen at Festival, no worries. YOU the filmmaker and/or production company will still have this opportunity to introduce your film. Films that are in Pre-Production, In-Production, Post-Production and Completed are all eligible. 2018 Red Nation Int’l Film Festival FILMS that are looking for distribution are listed here: https://www.rednationff.com/exhibition-list/. Festival Runs: 23rd Red Nation International Film Festival November 5-16, 2018! Stay Connected + Follow US for all updates on this exciting new program. Red Nation Celebration Institute ground-breaking initiative INDIGENOUS EYES FILMMAKER SHOWCASE was launched in November 2015 and sponsored by Honest Engine Films, in partnership with Red Nation Television Network, and presented by Red Nation Celebration Institute in Santa Monica at the Loews Hotel during American Film Market. 1000 distribution and production companies were invited, 400 attended the Red is Green carpet gala. This launch created a biz, internationally and locally, industry professionals were amazed at how many native & indigenous films have been produced. Red Nation’s INDIGENOUS EYES FILMMAKER SHOWCASE highlighted this very important ground-breaking initiative. November 2016 Red Nation Celebration Institute, Native Film Market Indigenous Eyes Filmmaker Showcase was held in Hollywood to a full house at Lee Strasberg Theatre and Film Institute. Native Film Market Indigenous Eyes Filmmaker Showcase held annually during Red Nation Film Festival in November. Los Angeles. NATIVE FILM MAREKT INDIGENOUS EYES FILMMAKER SHOWCASE is a copyright of Red Nation Celebration Institute.